Local MSP for Linlithgow, Fiona Hyslop has written to the group of young S3 women from Linlithgow Academy to congratulate them on their success at getting through the Scottish and UK Finals of the Formula 1 in Schools Challenge. 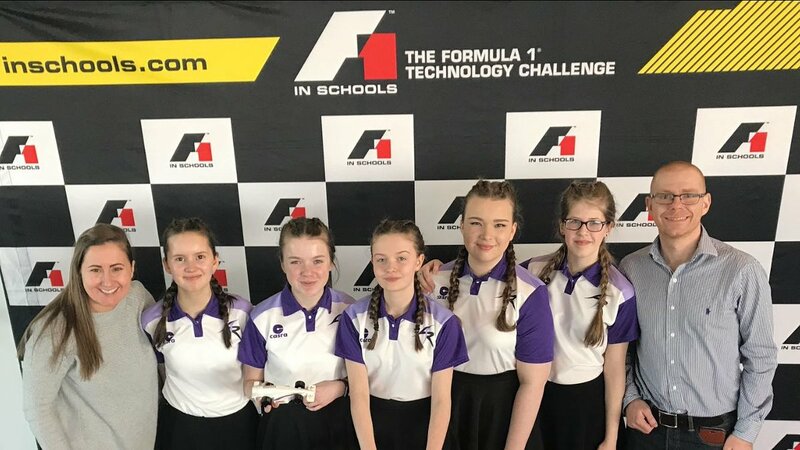 Team Manager Louise Patterson, Manufacturing Engineer Molly Ganner, Graphic Designer Louise Murray, Design Engineer Isla Petrie and Resource Manager Aoife Sutton are all S3 pupils at Linlithgow Academy and were tasked with a design projects to design and develop a mini Formula 1 race car. The young women will now travel to Singapore in September to compete in the Formula 1 in Schools Challenge International Final in Singapore. “This is a fantastic achievement for the girls and for STEM in Scotland. I know that the people of Linlithgow and Scotland will be behind these talented young women as they travel to Singapore for the Formula 1 in Schools Challenge finals in September.